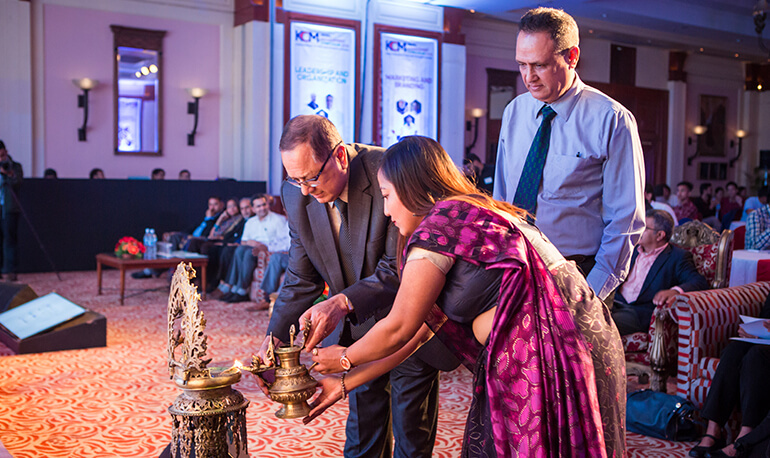 Nepal Management Symposium (NMS) is a flagship event of Kathmandu College of Management (KCM) organized by KCM Student Council. With the theme “Where managers of today and tomorrow converge”, NMS 2018 is the 7th season which was held on 19th and 20th of July, 2018 at Hotel Radisson. It is the platform for the professionals and students to come together in order to address the emerging issues that are going on in the field of Finance, Marketing, Entrepreneurship and Leadership with the vision to inspire the managers of today and tomorrow to make decisions in any field.